From solving a ghostly legend, to saving the world from a deadly meteor, you’ll have to don your detective hats as you head into, and then try to get out of, these escape rooms. With more and more escape rooms appearing up and down the country, it’s time you got your group to one. Locked in for an hour, you’ll find you have to work together, and search high and low, to get out of the themed room before the time is up. You might start off in one of Cambridge’s busy streets, but you could soon find yourself on a journey to Egypt, trying to destroy a giant meteor before it hits Earth, or taking on the role of a secret agent when you enter into LockHouse Escape Games, in Cambridge. Dependent on teamwork, you’ll need to search, think and solve a series of puzzles to escape. Meanwhile in Bristol, Milton Keynes and London, Locked in a Room gives you the opportunity to battle it out against other teams as you race to solve puzzles and discover clues to get out before the timer stops. Enter into the themed rooms, and take on the challenges that range from solving the mystery of a secretive scientist, to diving into the depths of the jungle as you embark on a dangerous mission. Ever wondered what it would be like to step into the shoes of the legendary Sherlock Holmes? Well he’s missing, and a number of break-ins have taken place across the capital. In short, London needs you. The official Sherlock Live Experience is a 100 minute immersive escape room located in the heart of London. Specially recorded video and audio will see you working alongside original cast members, including Benedict Cumberbatch and Martin Freeman as you rush to solve puzzles and clues. Legend has it that Lumley Castle (pictured above), in County Durham, is haunted by a ghostly Lady Lumley. Visitors to the hotel, located within the castle, from the 14th February 2019 onwards will be able to book into the newly launched escape room, thought to be the only one located within an historic site. 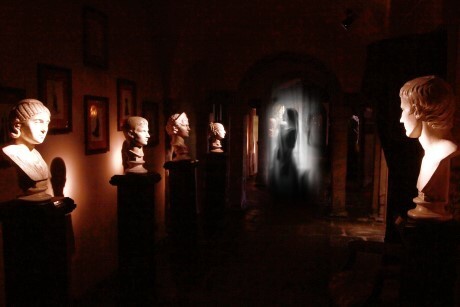 You’ll have to work together in the ancient rooms to solve the mystery, free Lily of Lumley of her curse and escape a deadly fate. With an option to add an overnight stay, afternoon tea package, or dinner in the hotel’s Black Knight restaurant, groups can easily turn the experience into a full-day or overnight trip. Not quite an escape room in the typical sense, but still an attraction that will see your group having to work together to get out before the clock stops, is the new Crystal Maze Live Experience, opening in London this March. You’ll find yourself transported back to the 90s as you try to solve a series of tricky tasks and games in four different adventure zones: Aztec, Industrial, Futuristic and Medieval. Main Image: A group escapes at Lockhouse Escape Rooms in Cambridge.